Did you receive your latest State of the City newsletter? Our Trails, Open Spaces and Trail Ambassadors were featured on Page 5! 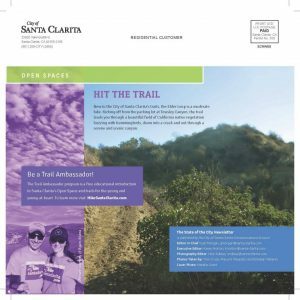 Share your photos with us – Visit http://hikesantaclarita.com/share-your-open-space/ to learn how!